Clicking on the image will take you to extensive blog-post on the specific village, put together by the original authors. Enjoy reading! Le Puy en Velay is a French commune, located in the department of Haute-Loire and Auvergne. Its inhabitants are called, in French, ponots. Until March 18, 1988 the name of the city was simply Le Puy. Its cathedral is a national monument of France and has been a center of pilgrimage since before the time of Charlemagne and also part of the pilgrimage route to Santiago de Compostela. Source: Wikipedia. Baume les Messieurs is a French commune in the Jura department in Franche-Comté region. The “village lost in the valley” of the song Les Trois Cloches, written in 1939 by Jean Villard Gilles, and performed by Edith Piaf and the Companions in 1945, refers to Baume-les-Messieurs, where the author was lost in route to Paris. The protagonist of the song, Jean-François Nicot, it is directly inspired by François Nicot (1858-1929), when Gilles saw the grave in the village cemetery. Source: Wikipedia. Dinan, spelling same way in Breton, is a French commune, located in the Côtes d’Armor département. The city is fortified by a magnificent wall. Dinan is located in a very beautiful place. Contrary to the city of Morlaix valley, the development of the city is situated on the hill, overlooking the Rance River. Source: Wikipedia. Cassis is a town located near Marseille. It has a small marina, Port-Miou, which still contains a little more than 500 boats. Its name comes from the Latin Portus Melior (literally the “best port”) which is occitanisé in Port-Melhor. 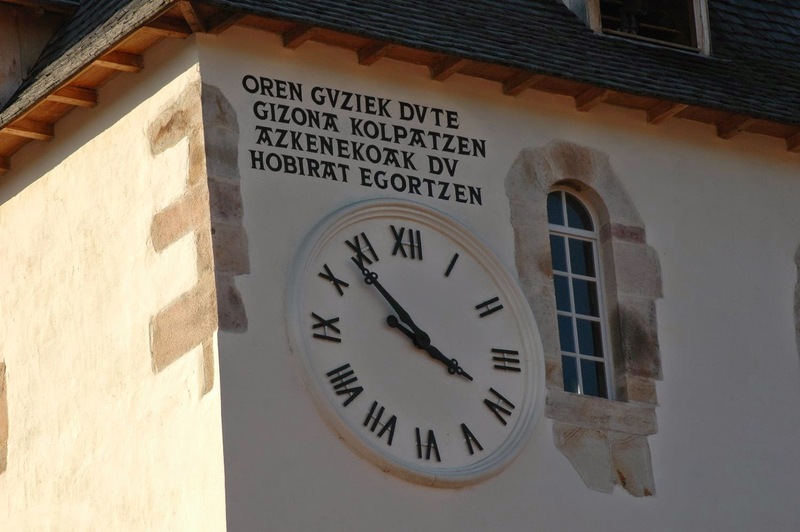 The spelling in French is the approximate transcription of the local pronunciation of the Occitan versions. Source: Wikipedia. The medieval village of Sainte Eulalie d’Olt is nestled in a haven of greenery, on the left bank of the Lot, below Saint Geniez d’Olt. The church of the XI century, the castle of the fifteenth century, the Renaissance palace and the mill wheel decorate part of this flowery village in whose narrow winding streets is a pleasure walk. Source: Wikipedia. La Roque Gageac (Occitan Gajac Rock) is a French town in the Aquitaine region in the Dordogne. 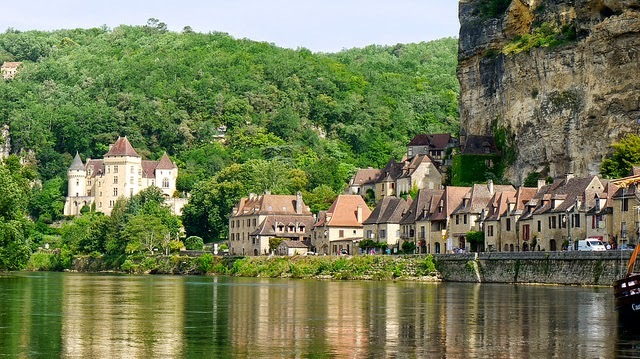 Located at the foot of a cliff, on the banks of the Dordogne River, enjoys a climate similar to the Mediterranean. Source: Wikipedia. Sainte-Agnès is perched at a height of 800 meters and offers a wonderful panoramic view of the Mediterranean. Used to protect the French-Italian border in the Maginot Line was a military site and coveted for a long time. The village offers visitors seeking authentic cobblestone streets, unobstructed view of the French Riviera and its sunny climate. Source: Wikipedia. Lyons-la-Forêt, also known as Lyons, is a town and French commune located in the region of Upper Normandy, department Eure, in the district of Les Andelys. It is the chef-lieu of the corner of his name. The village is located in the northeast of the department, rising on the banks of Lieure, tributary of the Seine by Andelle. It is located in a forest clearing that bears its name (Forêt de Lyons). Source: Wikipedia. La Bastide-Clairence was founded in 1314 by Louis the first King of Navarre and future king of France to provide an outlet to the sea. It is marked by the diversity of population and religion that brought it its status. White walls lined with green or red nonetheless recall that we are in the Basque Country. Source: Les Plus Beaux Villages de France. Gordes in located just on the side of the Vaucluse tableland, dominating the plain of Cavaillon. Their houses are staged at the foot of the imposing Renaissance castle and its church winding cobblestone streets. Village celebrated by artists as Marc Chagall, Victor Vasarely and Pol Mara, is a cultural must in Provence. Source: Les Plus Beaux Villages de France. Going from Paris to Orléans, you can find Yèvre-le-Châtel that combines the strength of its walls and its castle from the XIII century with Saint-Gault, its Romanesque church and the unfinished nave of Saint-Lubin. The charm of its flowery streets, its old limestone houses and gardens have inspired international painters and artists. Source: Les Plus Beaux Villages de France. 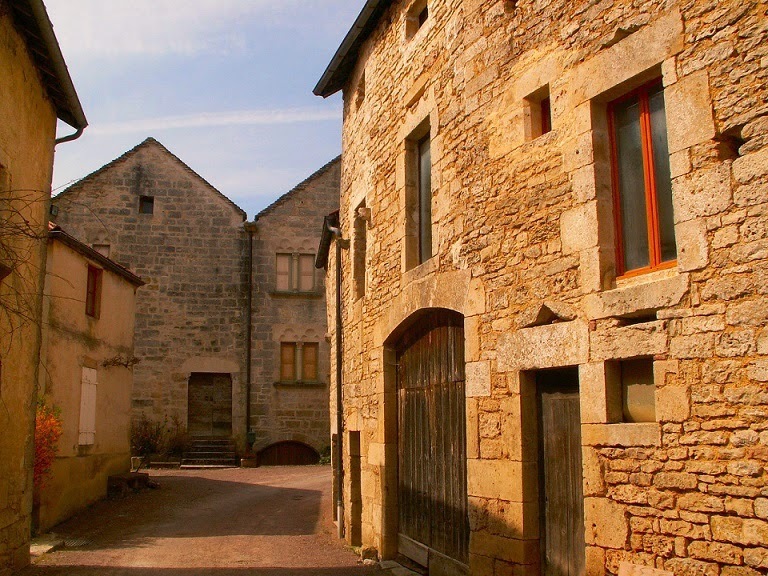 Locronan has its name taking from Saint Ronan, a hermit that founded the city in the tenth century. It flourished in the sixteenth century by the sailcloth industry having largest sponsors, like the East India Company. Wonderfully preserved, the city has beautiful granite Renaissance houses and a magnificent church of the fifteenth century. Source: Les Plus Beaux Villages de France. Watching over the Burgundy Canal, Châteauneuf and its imponent castle of the XII century attest the strategic position of this town located between Dijon and Autun. The medieval streets reveal the homes of wealthy Burgundian merchants of the XIV, XV and XVI centuries, and invite us to search where we discover splendid views. Source: Les Plus Beaux Villages de France. Sare means “Sarah Astia”, i.e., to Sara, we’ve got the time. It’s a motto of this village wedged at the foot of the legendary mountains of Axuria and Rhune. There traditions are alive, parties, sports, even smuggling, as in any frontier town, have been and are part of the people of this village through the ages. Source: Les Plus Beaux Villages de France. In front of the mountains of Morvan, in the highest part of a steep hill, the Basilica of Sainte-Madeleine looks majestically over the houses of the vintners and Renaissance mansions. 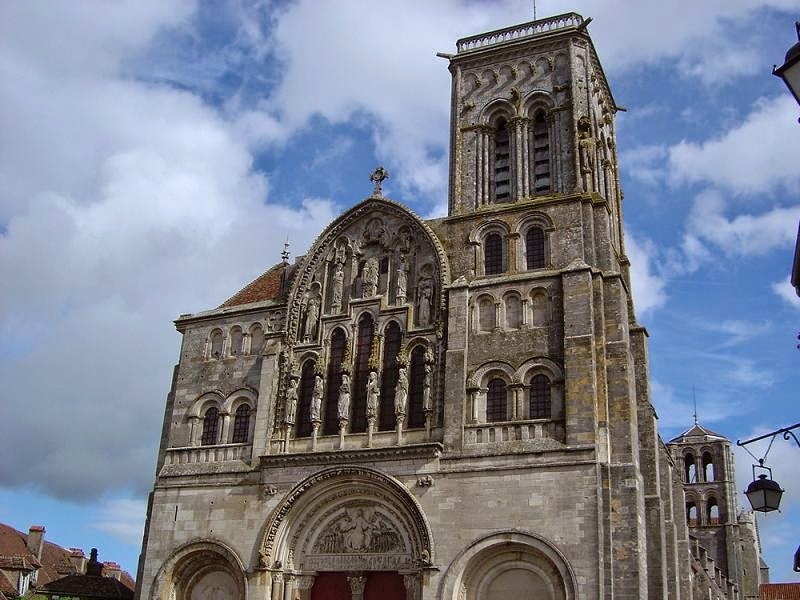 This magnificent basilica of Roman art was restored by Viollet-le-Duc in the nineteenth century and makes Vézelay a place of pilgrimage and the starting point for the journey of Compostela. Source: Les Plus Beaux Villages de France. 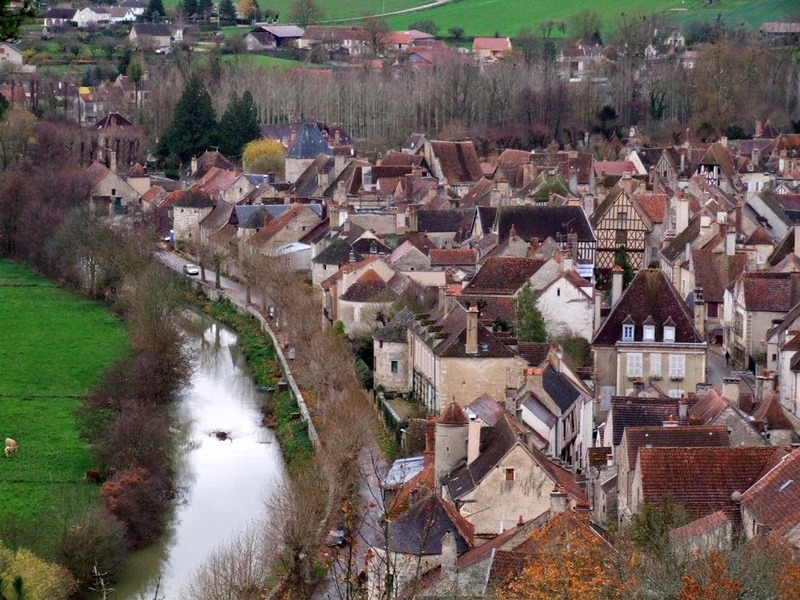 Nestled in a bend of the Serein, Noyers offers their visitors two sides of their cultural heritage: the medieval and the vineyards. Places in this beautiful village such as Petite-Etape-aux-Vins, Marché-au-Ble or Grenier-à-Sel, remind us, as all the beautiful half-timbered facades of the mansions of the fifteenth century, the flourishing period of the agricultural and commercial activity of the town. Source: Les Plus Beaux Villages de France. 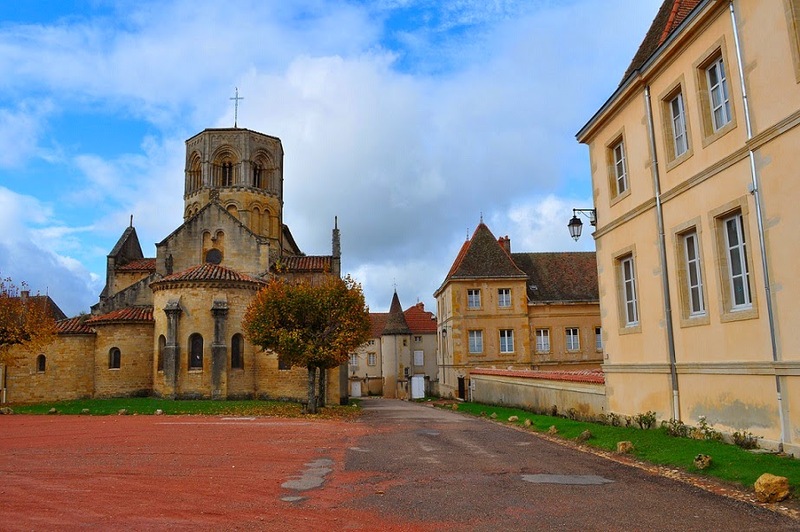 Flavigny-sur-Ozerain is built around a Benedictine abbey founded in the eighth century. 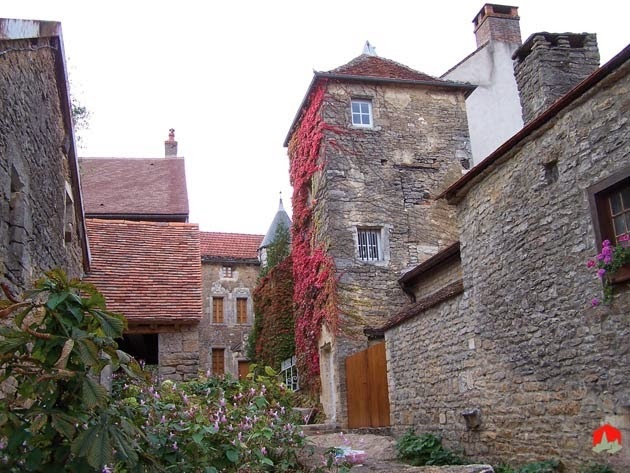 The Burgundian village tells its history through its fortified gates, cobblestone streets, medieval ramparts and houses. Sweet aniseed that are made in the old abbey and its intoxicating scent will welcome you on arrival. 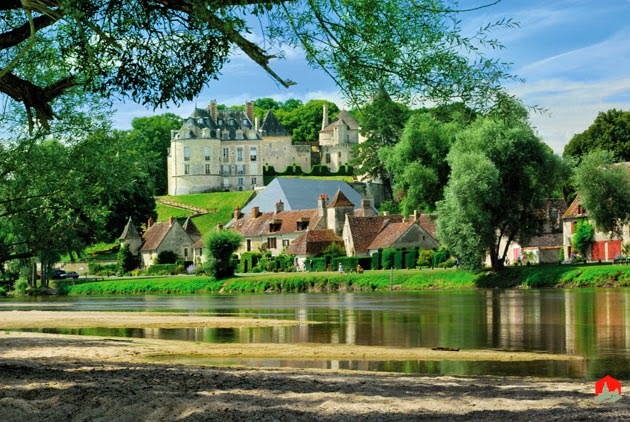 The village of Apremont sits in the heart of Berry, in a wooded landscape along the Allier River. Dominated by its castle surrounded by a floral park inspired by the English garden of Vita Sackville-West at Sissinghurst, the town was completely restored last century. 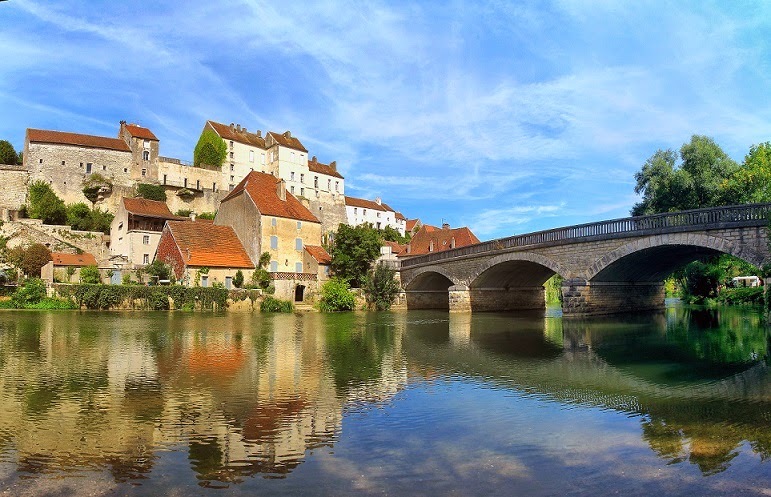 To the south of the region of Burgundy, with its ancient fortress of Saint-Hugues, founder of Cluny, Semur is the historic capital of Brionnais. In this beautiful city does not lack wealth, between the strong castle and the square tower of the ninth century, the beautiful Romanesque church of Saint-Hilaire, with its eight arches bell, its columns and carved portal. And of course, the old houses painted in color almost pink. Ancient strategic position located on the road leading from Gray to Dole, Pesmes experienced a turbulent history for the various occupations it was subjected until finally becoming French in 1678. The city has tried to preserve its rich heritage. Remnants of its castle and the church of Saint-Hilaire of the thirteenth to sixteenth centuries. Along the river Ognon, the beautiful homes of town notables and vintner’s mansions that evoke the wine history of the town. 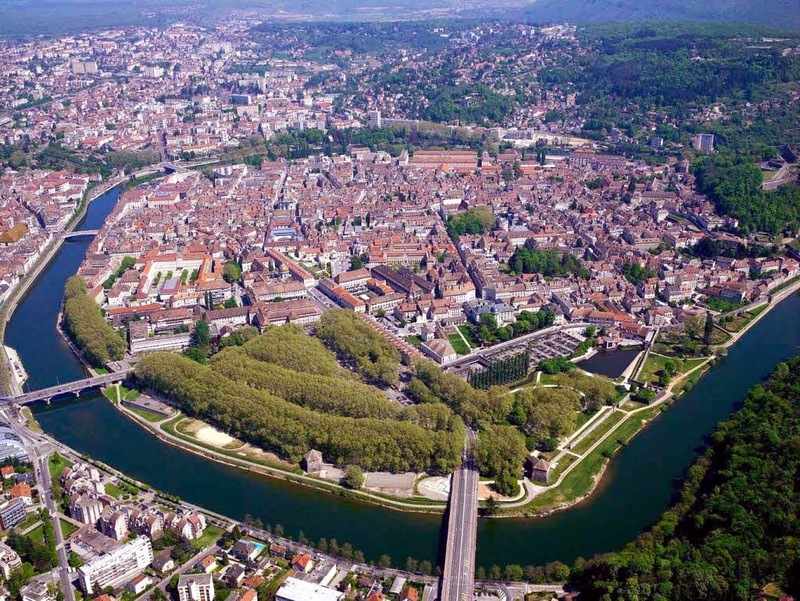 Besançon have been often proclaimed as the first green city in France and has a quality of life nationally recognized and highlighted by its social and environmental innovations. The fortifications of Besançon are inscribed on the list of World Heritage Sites since 2008.